On the 27th anniversary of a little-known Los Angeles trial, Andrew Cha looks back on the context from which the LA Riots emerged and offers a way forward through policy and community action. On a Saturday spring morning in March 1991, a 15-year-old African American girl picks out a bottle of orange juice at a neighborhood convenience store in South Central Los Angeles and puts it in her backpack. Assuming a case of shoplifting, 51-year-old Korean shopkeeper Du Soon Ja confronts the girl, Latasha Harlins, who insists that she intended to pay for the item. A struggle ensues, punches are thrown, and Mrs. Du pulls a handgun and shoots Harlins in the back of the head, tragically killing the youngster instantly. Today will mark the 27th anniversary of the trial of Du Soon Ja that still poses a puzzle for the historical-cultural narrative of the April 1992 riots in Los Angeles. On November 15, 1991, Los Angeles trial judge Joyce Karlin overturned a jury’s recommendation that Mrs. Du be convicted of voluntary manslaughter and sentenced up to sixteen years in prison, and instead sentenced her only to five years probation. Despite the fact that Du avoided jail time and was given a minimal penalty, it would be almost six months before the second most populated metropolitan area in the United States turned into an urban warzone. On April 29, 1992, six days of shooting, looting, and arson largely against Korean-American-owned businesses resulting in over one billion dollars of damage, over 12,000 arrests, and over fifty deaths, followed the grand jury acquittal of Los Angeles law enforcement over the brutal arrest of Rodney King – an African-American male who was ruthlessly beaten with billy clubs and tasers by four white police officers caught graphically on videotape and broadcast to the nation. The widely-accepted historical-cultural narrative of the 1992 riots does not capture the full story. As framed by the mainstream American (white) media in the 1990s, the L.A. riots are widely seen as a subset of Black-Asian racial tensions exacerbated by socio-economic cultural differences. That is, black jealousy at successful Korean businesses in their neighborhoods, exacerbated by perceptions of Korean behavioral “haughtiness” and racism against black clientele, fueled the L.A. urban maelstrom. But if this is true, then why did the beating by white policemen against Rodney King spark the conflict between Black and Korean? Presumably, the Black-Korean racial conflict pre-dated the riots, so why did it not happen earlier? And when Mrs. Du avoided jail time for shooting dead Latasha Harlins, over one year prior to the Rodney King verdict, why did this not spark riots? Looking back on the L.A. riots, I believe that the urban violence we witnessed is a physical manifestation of deeper dilemmas of identity imposed upon both Blacks and Koreans. Textual analysis of New York Times and Los Angeles Times coverage of the 1992 riots reveals a complex void between white society’s narrative of black “binary racialism” and the Asian “model minority.” By this I mean that African-Americans and Korean-Americans in South Central Los Angeles struggled to define their collective identities within and against these exclusionary stereotypes, making each group, simultaneously and inadvertently, the aggressors and the aggressed. Socio-economic factors mattered in the creation of tensions in South Central Los Angeles that spring; in particular, the perception of Korean businesses displacing local owners in these predominantly black neighborhoods. However, the struggle to define oneself against these dominant stereotypes, and the lack of mutual self-awareness of these struggles, pitted Korean and Black on an inescapable collision course. 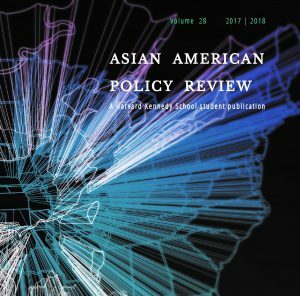 Black people despised Korean people as the “model-minority.” But recently immigrated, blue collar, seven-day-work-week Korean shopkeepers — who saw themselves as anything but their affluent, suburb-dwelling — harbored deep frustrations at the inherent and exclusive class stratification implied by the term. Meanwhile, the “binary racial” narrative permeating even the avowedly “liberal” New York Times had the effect of “othering” black grievances over the King case for Koreans, fomenting insensitivity and indifference rather than empathy or a common sense of outraged activism. Thus, while the Rodney King verdict may have been the specific cause of the 1992 riots, these mutual struggles to self-identify against stereotypes in the context of predominantly white society was the permissive condition for the violence. Communities like L.A., Ferguson, Missouri, Baltimore, and Chicago, all of which have seen urban unrest and violence between police and demonstrators, have sought to learn lessons from the 1992 LA riots with varying degrees of success. Measures to alleviate racial tensions and improve community-police relations range from policy actions and community relationship building. Perhaps the most important substantive change to come from the LA riots was the creation of consent decrees that tried to improve the police department’s capacity to fight crime while protecting the civil and constitutional rights of the community. The latter refers to increased transparency and accountability in local and city police forces. In the case of LAPD, in the aftermath of the 1992 riots, public approval of the police was at a historically low 34 percent, and subsequent investigations by a federal commission and civil lawsuits found rampant practices of racial profiling, unresponsiveness to information requests in violation of California’s public records law, and excessive use of force in minority communities. In addition to rebalancing the force racially (from 70 percent to 30 percent white), since the consent decree was implemented in 2001, LAPD now has instituted instruments of accountability that identify at-risk police behavior, improve police-community relations, and incorporate “de-escalation” protocols in training to reduce the use of deadly force. Indeed, the Attorney General’s office under Trump has called for the review of all consent decrees pending in 15 cities, including Chicago, where former AG Jeff Sessions has called for scrapping the decree altogether. Trump’s rhetoric and the Attorney General’s actions, if they seek to override the states, is certain to pose a major setback to the nationwide effort to make police forces more accountable and less prone to the use of deadly force in minority communities. With regard to the Black and Korean communities in L.A., the healing remains an ongoing project since 1992 and focuses on relationship-building, community relations, and myth-busting. Churches bring together the communities for cultural events. Schools, local leaders, and private sector businesses constantly come up with projects like English-teaching, citizenship exam training, internship programs, and small business loan programs that enjoin two racial distinct communities that continue to co-exist in South Central Los Angeles. Census figures from 2010 show, for example, that Koreans had the lowest rate of home ownership in LA County, making them far from the “model minority.” And local banks loans to small businesses by African-American entrepreneurs has grown since the 1992 riots. Los Angeles City Councilman David Ryu observes that “The L.A. riots was not a black-Korean issue. It was a poverty issue”. The proliferation of basic facts about the two communities and proactive relationship-building among businesses, schools, and churches constitute the micro-processes of social healing – at a time of potentially more challenging police-community relations under Trump – that help to undermine the destructive binary racial narrative that lay at the heart of the 1992 riots. Andrew Elliott Cha is Founder and CEO of Serv4All, a social justice NGO in Washington, D.C. His recent works have appeared in the Baltimore Sun, Columbia Journal of International Affairs, and Human Rights Policy Journal. Brenda E. Stevenson, The Contested Murder of Latasha Harlins: Justice, Gender, and the Origins of the LA Riots. (Oxford: Oxford University Press, 2013), 3-5.